I’ve written much about how NLP and Time Line Therapy® are enormously useful and the questions that surround these fields of personal achievement. 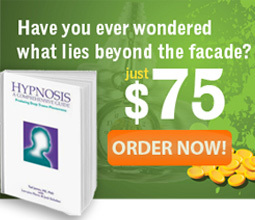 NLP and Time Line Therapy® are becoming extremely popular all over the world. You need only search on the internet to see over a million websites dedicated in a form or another to these topics. The general view is polarized: people either hate them or love them and swear by their benefits. But here, I want to discuss the outcome, because no matter how you view NLP and Time Line Therapy® and what they do, what they represent is now being used as a symbol. Take a hero who has broken through the veil of secrecy, who’s stolen the fire from the gods, who’s escaped out into the world of common people… And put him through the meat grinder of the “scientific” circles with vested interests in the status quo. With a hero, if you raise this hero up, put him down, admire him, attack him, threaten him, isolate him, love him, and sooner or later he begins to be no news. Only that NLP and Time Line Therapy® seem to survive and thrive in spite all of that. Talks about the tools and skills offered by NLP and Time Line Therapy® have been chopped up so many different ways into so many disparate comments and opinions that, eventually, the symbol should carry no real force any longer. But factual evidence shows us differently. Meanwhile, the talks on how you are a limited biological machine and all there is to you are molecules and atoms, chemical reactions and electrical impulses continue on. Talk about installation of limits! Nevertheless, despite the cons about NLP and Time Line Therapy® new ways of implementing these skills emerge. Therefore, they become even more powerful than they were. The economic problems around the world rocked our proverbial boat, but the boat is in the process of being repaired. We are all repairing it. The more difficult life seems to be, the more we look for something to help us adapt and thrive in spite of our troubles. And regardless of how the public responds to NLP and Time Line Therapy® it is only a partial response, because the true aims of these skills are a mystery to most people unless they begin to learn what they really mean. Troubles and problems in life come at us from all angles. Relationships not working, jobs not paying as much, or being outsourced overseas or to robots instead of humans, finances dwindling, children being diagnosed with behavioral problems; it seems the technology that was supposed to help us for easier life and less work has only increased our workload. Now we do emails and text and posting on the web until we fall asleep at night. Whatever happened to our free time? What happens when people are so overloaded they give up? The health of our society gives us one clue. Something went terribly wrong. Claiming limits on a human being says a lot. Being constantly reminded that you cannot do anything and must depend on others, that you are a limited biological android does not help either. The conclusion must be then that somebody else must help you out since you alone are helpless against the big problems of your life. See how disempowering this is? This way of thinking leads to placing every individual in a tight box, where his creativity and natural ability are suppressed under systems of control. It’s almost like somebody else takes control over your life. When you give up the choice to decide for yourself in your life about what you want to do VS what you should do according to others, you really become nothing more than a biological robot. See, they were right! And the ones who tell you this is ok believe they are doing the right thing for the world while playing a fascinating game of multidimensional chess. 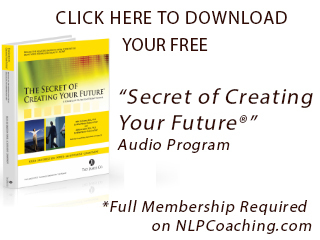 NLP has been used extensively in the upper echelons of our society since its inception in the 1970’s. Did you know about it then? NO you did not. Maybe you just found about it recently. The question is why? Because it’s no good? If you take only the language part of NLP and learn it, you will notice that every newscast, every political campaign, every piece of public relations and advertisement is loaded with these language patterns. Do you understand how your mind is being guided to think in a different way? The PR companies in the world are anything but losers and victims. The people working there are extremely skilled and intelligent. Why should you not know what they do? Because you think you can’t? Oh, and if you do think you can’t, you have bought the piece of disinformation served to you on the silver platter. The only response, we are led to believe, is more giving up your critical thinking in favor of a nicely wrapped cotton candy. As I teach and travel around the world I recognize that more and more people, on the other hand, being to assert in every way possible, that freedom of choice in life is real and inviolable, that we can act with conscience, new skills and intelligence for ourselves and our communities and that in order to improve society in general we have to begin with ourselves. This is why we must back that up with our actions. But if you and people like you don’t buy the limited view of a human being, the notion that you are powerless and cannot do anything on your own, then things change. It is obvious. This is why NLP and Time Line Therapy® continue their journey to becoming more and more popular all over the world. Absolutely totally agree with this article! Based upon my personal and profession experiences using these techniques over the past 8 years! I recommend these techniques to anyone and everyone! Kudos! Especially to the Tad James Company and staff, thank you for everything and I look forward to many more wonderful years to come in this exciting industry! I completely agree, I am the key to my own development.I may have great teachers but it is me who actualises the teachings and makes them my own. I intercept old patterns emerging and create new, alternative possibilities.